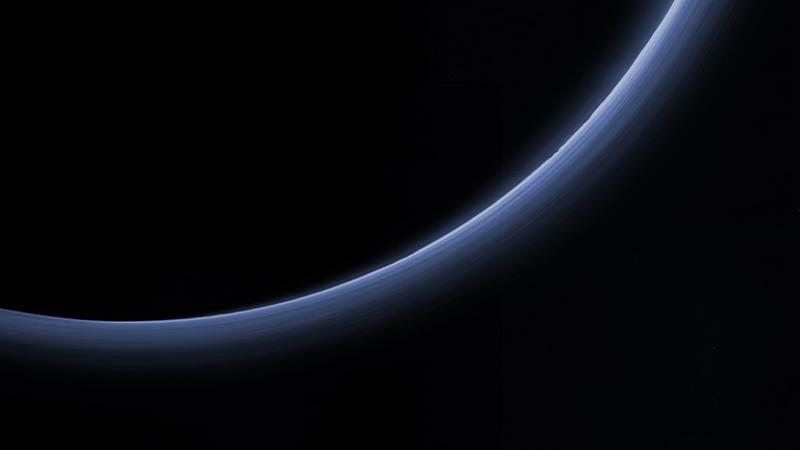 Remember that dreamy picture of Pluto’s blue haze? 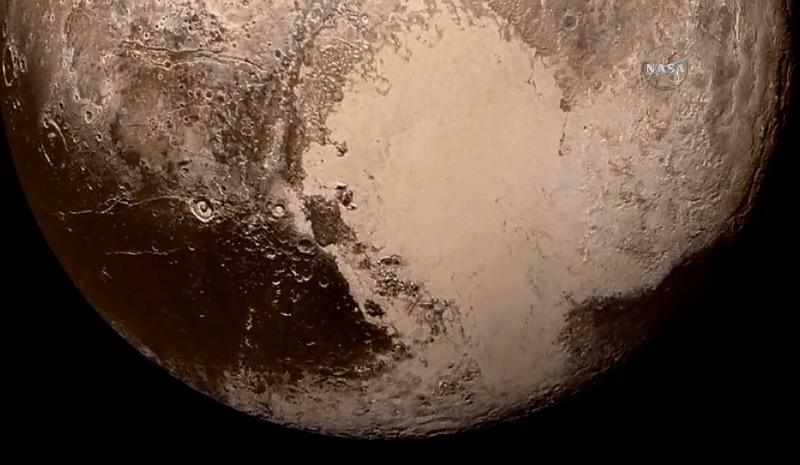 NASA his week released a follow up, and it looks like something straight out of a Star Wars movie. 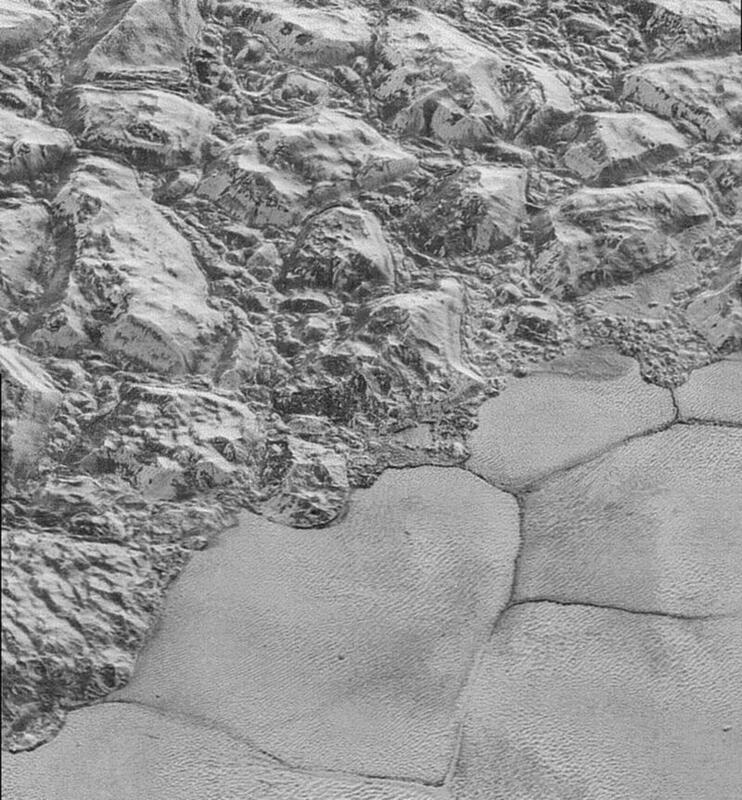 And if that wasn’t pretty enough, the agency released a close-up of the distant planet that appears to show off a possible ice volcano. 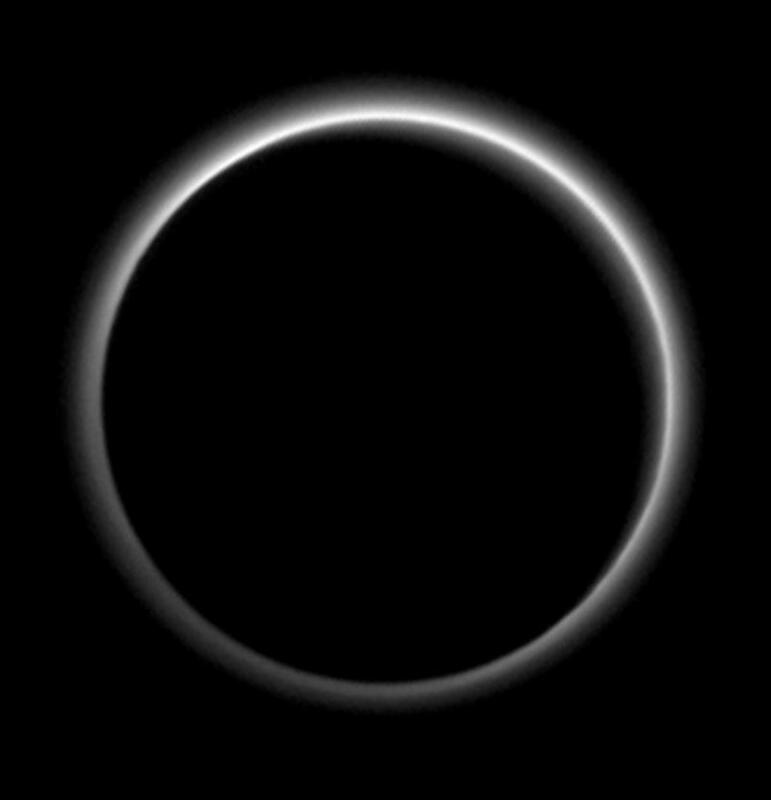 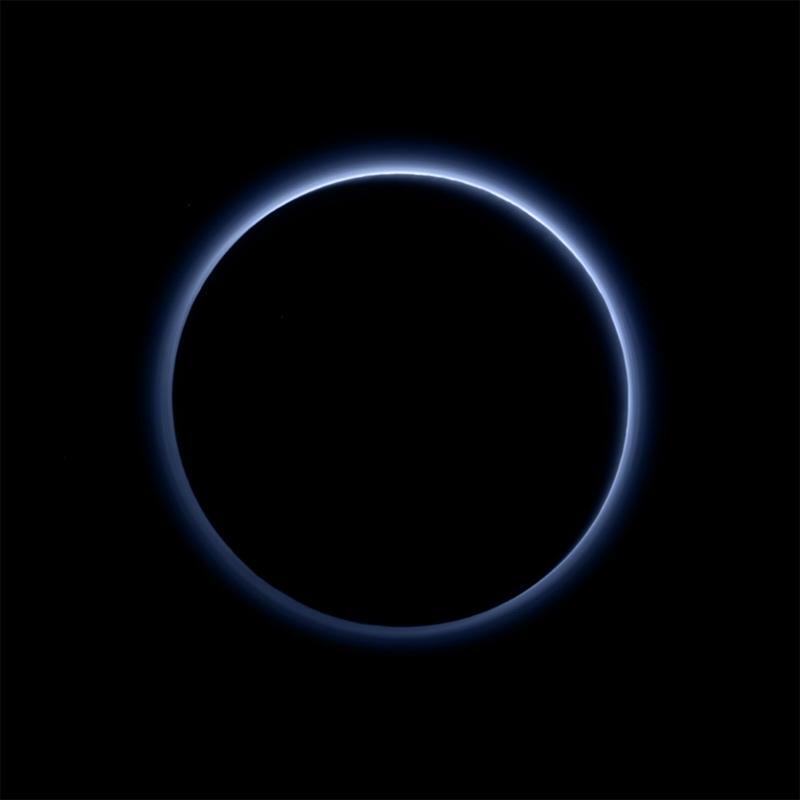 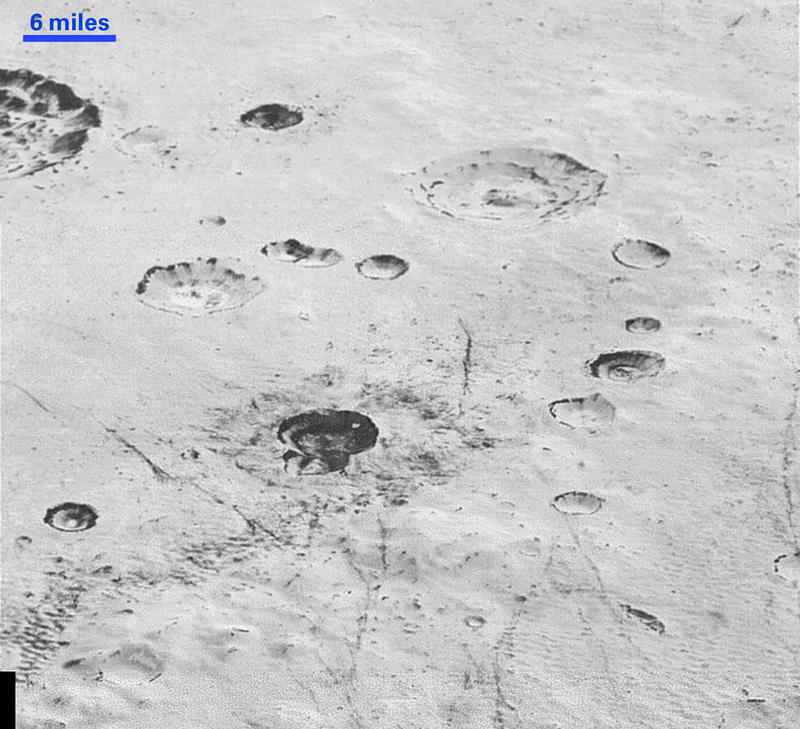 What’s amazing is that the hazy image shows off the true color of Pluto’s atmosphere. 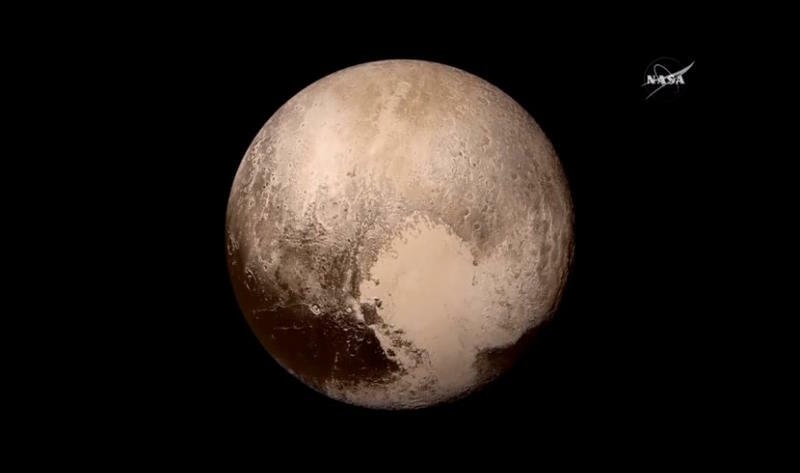 Last year, we learned that if you looked up toward the sky while standing on the planet’s surface, it would be blue, just as it is here on Earth. 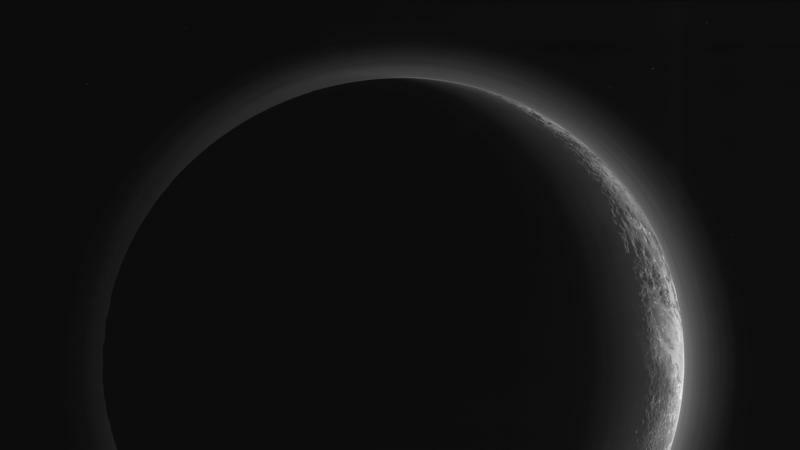 These haze layers, according to NASA, can extend to altitudes of over 120 miles above Pluto’s surface, while stretching around the planet for hundreds of miles. 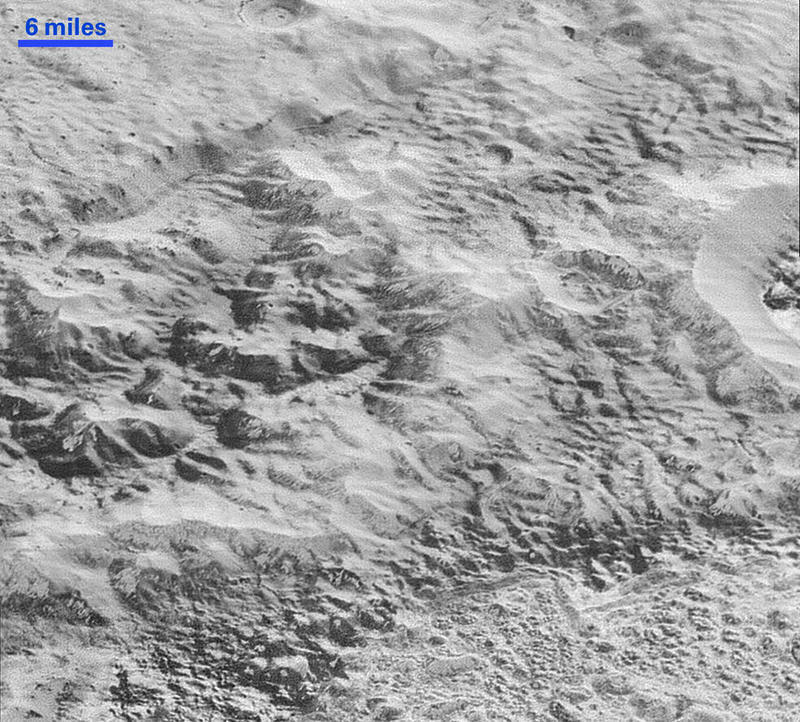 If you look closely, you can see a massive mountain range reaching toward the blue haze. 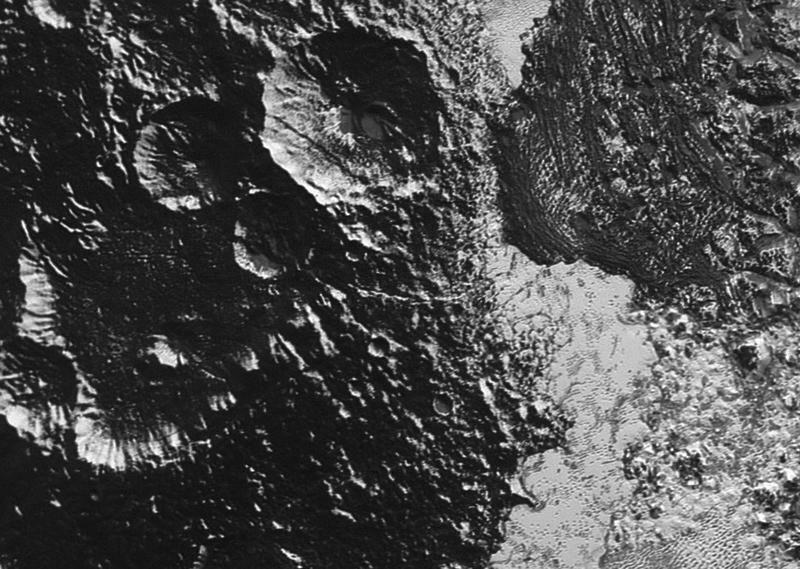 As for the ice volcano, dubbed Wright Mons, NASA says the feature extends about 90 miles across, and a whopping 2.5 miles high. 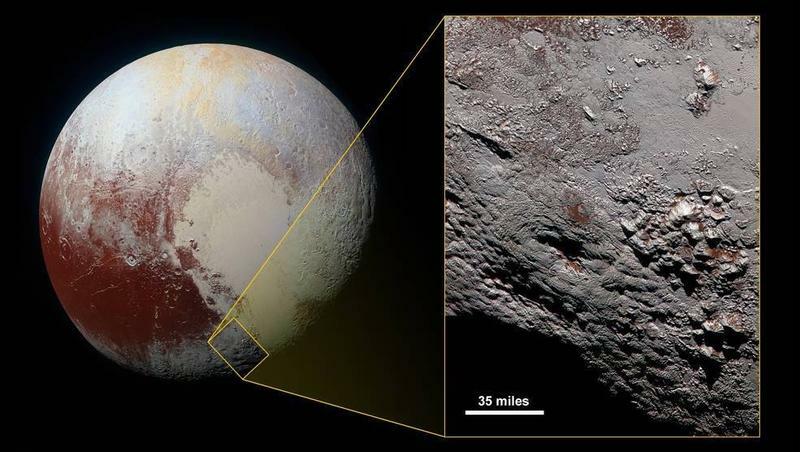 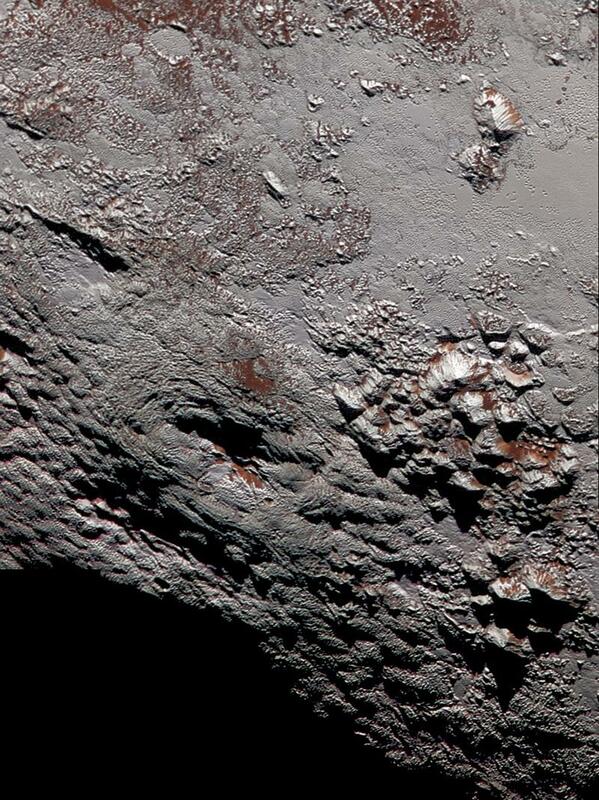 If it is what NASA thinks it is, the icy volcano, which may have been active late in Pluto’s history, would be the largest discovered in the outer solar system.